We are ex-bread addicts. You too…? Yeh we thought so! 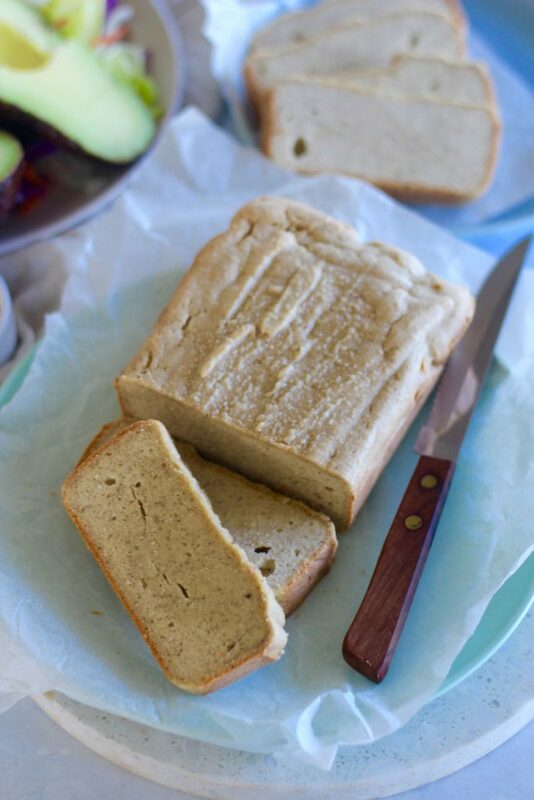 We’re pretty sure this easy low carb bread recipe is our all time favourite healthy bread recipe. And we’ve made a stash of bread recipes like this pumpkin bread recipe and these cheese and bacon rolls and these seedy paleo bread rolls,. They’re all delish but we think this one wins! We topped our low carb bread with avocado but the topping options are endless. Think nut butter and coconut, chia strawberry jam or bacon (yum!). Oh and it’s also perfect for dipping into soup during the cooler months and also runny egg yolks. YUM. It’s the best recipe to whip up for the week. 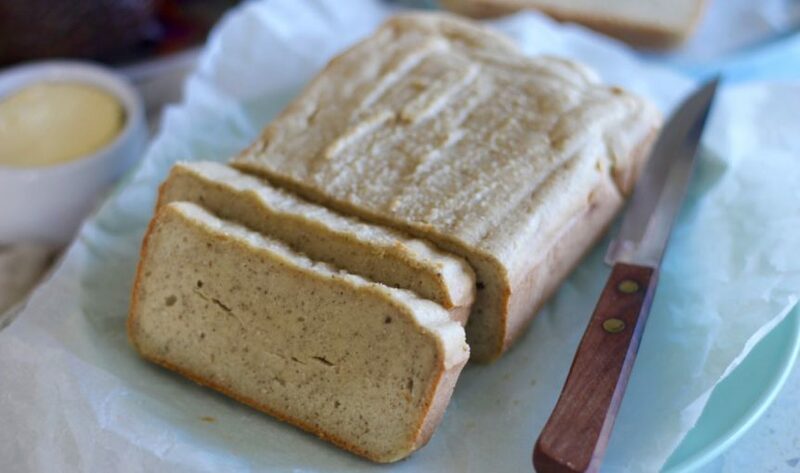 Make, bake, slice, freeze in portions and toast it up when you’re ready for easy low carb bread deliciousness! If you make it, send us a photo on social media, use #GetMerry so we don’t miss seeing it! P.s you can find ALL the healthy bread recipes on the app. Preheat oven to 180°C (350°F) and line a 20 x 10 cm (10 x 4 inch) loaf tin with baking paper. Place the almond meal, coconut flour, chia seeds, salt and baking powder into a blender or food processor, whiz to combine. Add the eggs, coconut milk and butter and whiz until smooth. Transfer the batter into the prepared loaf tin and bake for 25 to 30 minutes. Slice into 10-12 pieces and freeze in portions of 2-4 or in an airtight container in the fridge if you think you’ll eat it within 5 days. Smother in butter or serve with delicious avocado. So yum!